The EPC Box C2D Nautic features a fully certified maritime Box IPC with dual display output for multimonitor applications, industrial mass storage e.g. automotive HDD or CFC and passively cooled CPU technology for use in demanding maritime environments. Certified MTe-Nautic Monitors supply compatibility with EPC Box C2D Nautic for excellent quality displays and optimized for marine applications. 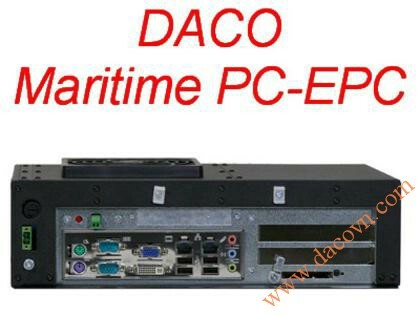 With numerous communication ports, two built-in PCI expansion slots and a modular construction, EPC Nautic enables flexible applications that are easy to update and upgrade. The EPC Nautic affords low maintenance and high reliability with few rotating parts, vibration-limiting construction and built-in expansion slots with a solid card holder guaranteeing minimal mechanical wear-and-tear. Mass storage e.g. automotive HDD or CFC and passively cooled CPU technology for use in demanding maritime environments.